We have been having a true taste of fall here in North Alabama! I love fall so much and since summer here can be hot and humid as the dickens, it’s a nice cozy little treat. I love the heat as well, but come this time of year I start craving fall smells and tastes and just the overall comfy cozy feeling I get inside. One of my favorite parts of fall, I have many, but my favorite is Pumpkin season! 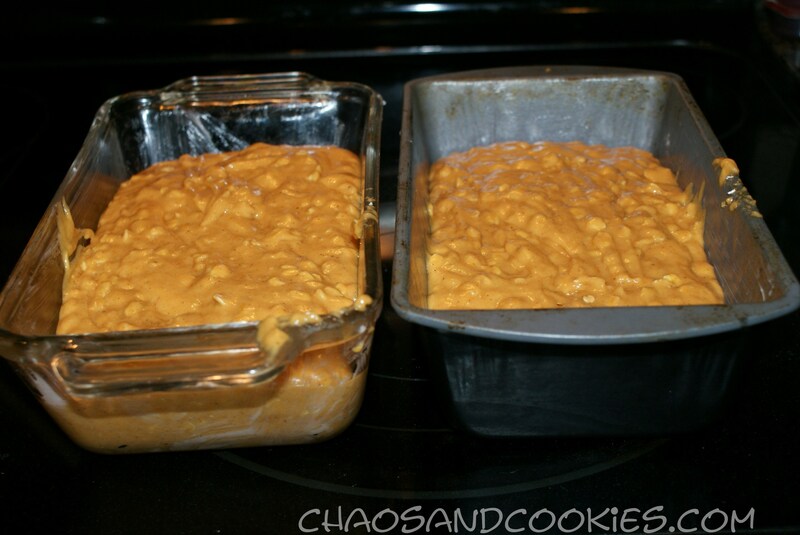 While I’m sure the heat will be be returning with a blast, it always does when the kids head back to school, I took the time today to “pretend” it really is fall and baked a delicious pumpkin treat. 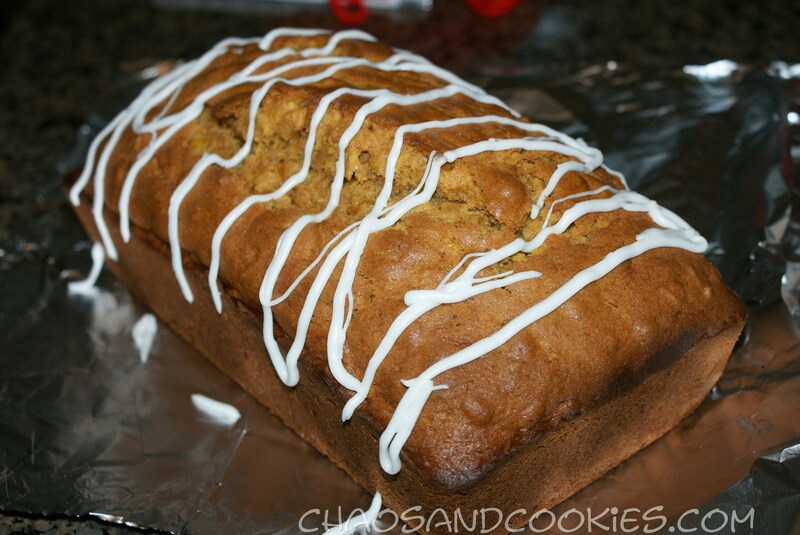 Yesterday I wrote a recipe up for Spiced Pumpkin and Oat Bread with an Icing drizzle and ran out of time to make it so this morning after my husband and I took a cool morning walk, I made this recipe and crossed my fingers that it was going to be as good as I imagined, most importantly that it turned out to be flavorful and moist! I was not disappointed, it was amazing! 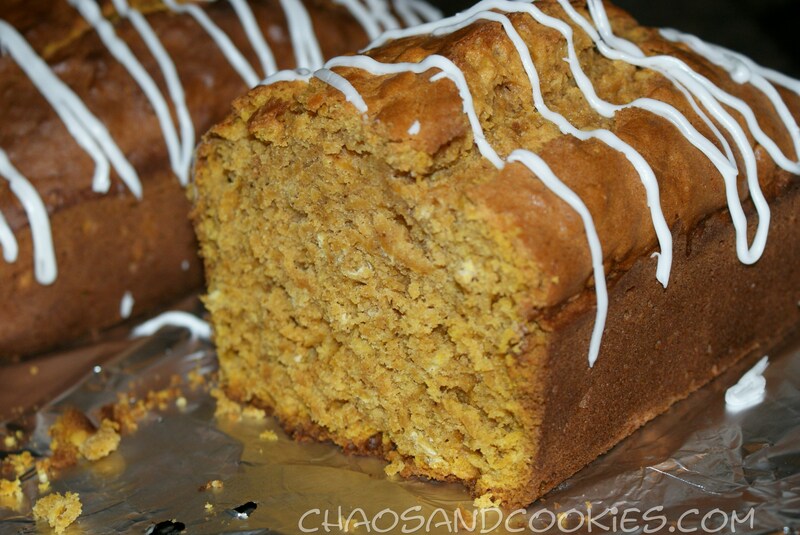 I have enough pumpkin recipes and bake a lot of pumpkin treats in the fall so I’m pretty seasoned in that department! 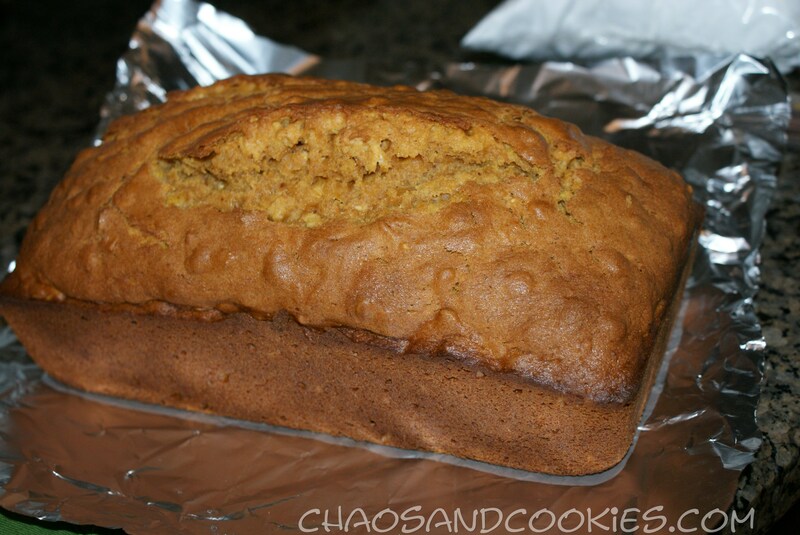 If you love pumpkin as much as I do, you must try this bread. I know I’ve broken into the fall baking a wee bit early but who cares, you can do what I did and just pretend it’s fall, then make it again when it truly is! 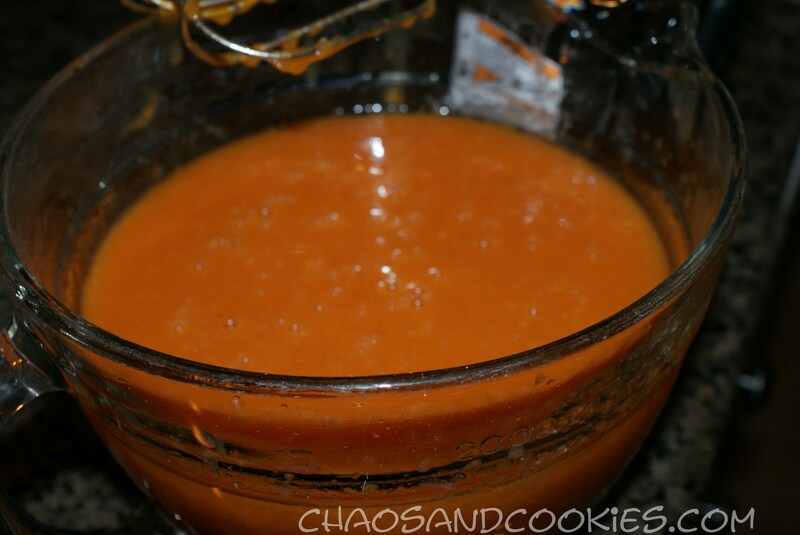 In a large bowl Beat together Oil, sugar, eggs, water and pumpkin until mixed well. 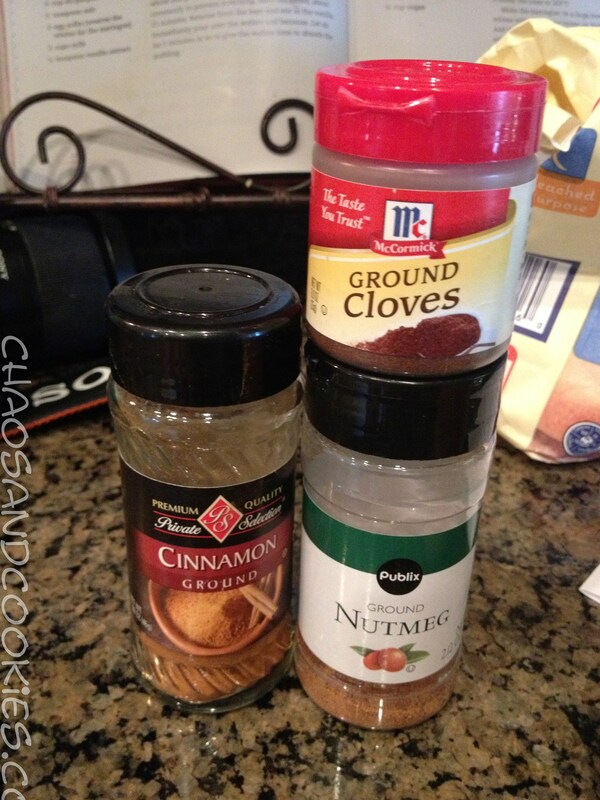 Add all the dry ingredients EXCEPT for the oats and beat together again until mixed well. 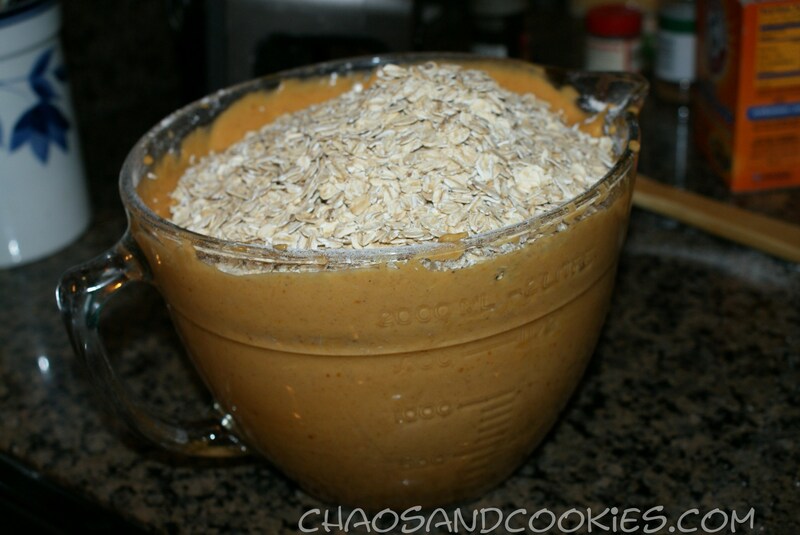 Add oats and stir into the mixture well until blended very good. 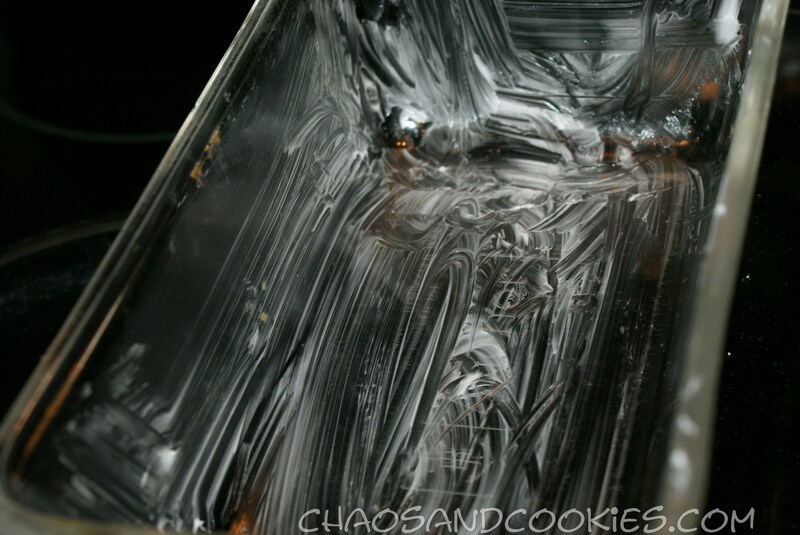 Pour into greased pans and bake at 350 degrees for about 1 hour or until cake/bread tester inserted comes out clean. Remove from heat and let set about 15 minutes. Remove from pans and cool on wire rack. 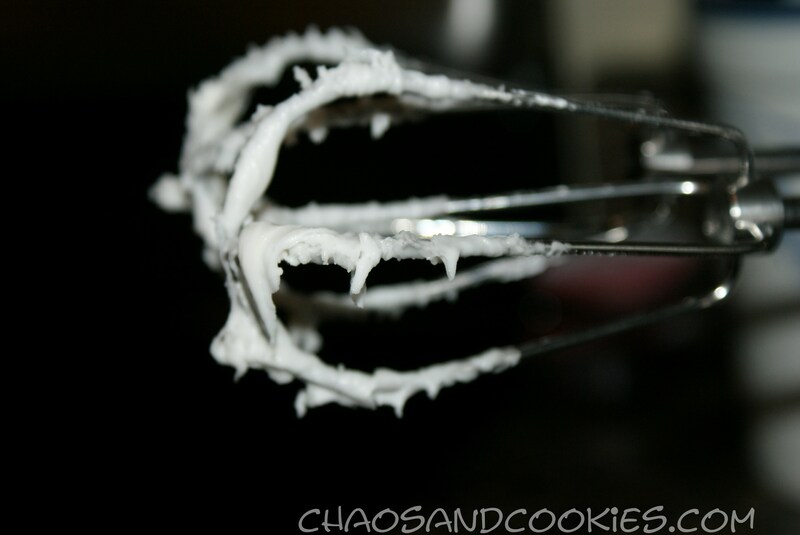 When cooled make icing. 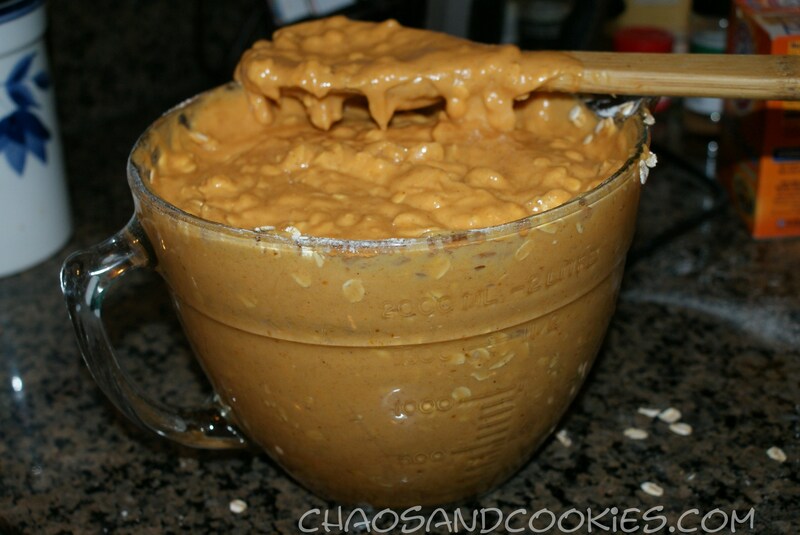 For the icing mix all ingredients together and beat until mixed. Take a sandwich baggie and snip just the very little corner off one side at the bottom, this is where the drizzle will come out. 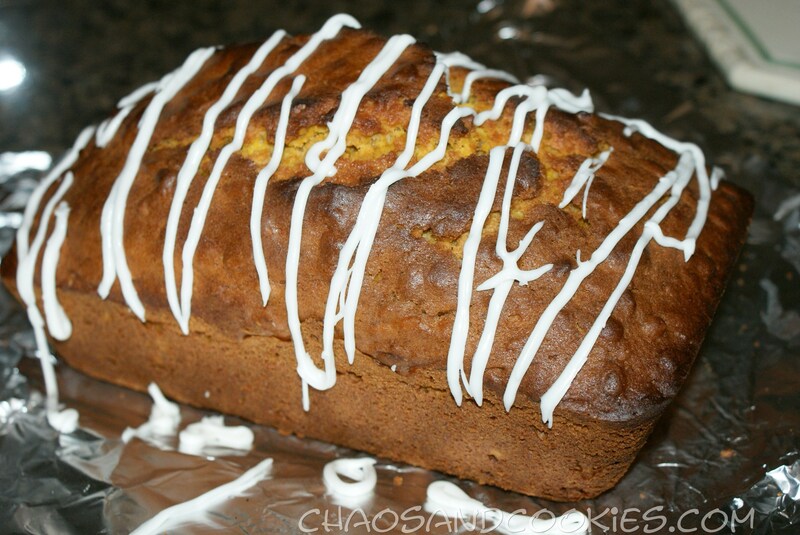 Fill the baggie with the icing and drizzle across the breads! 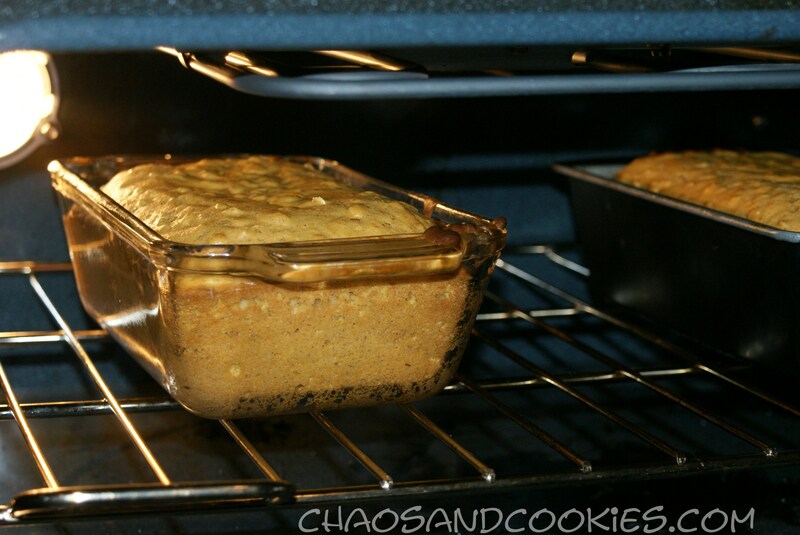 This bread is so awesome and so moist!! 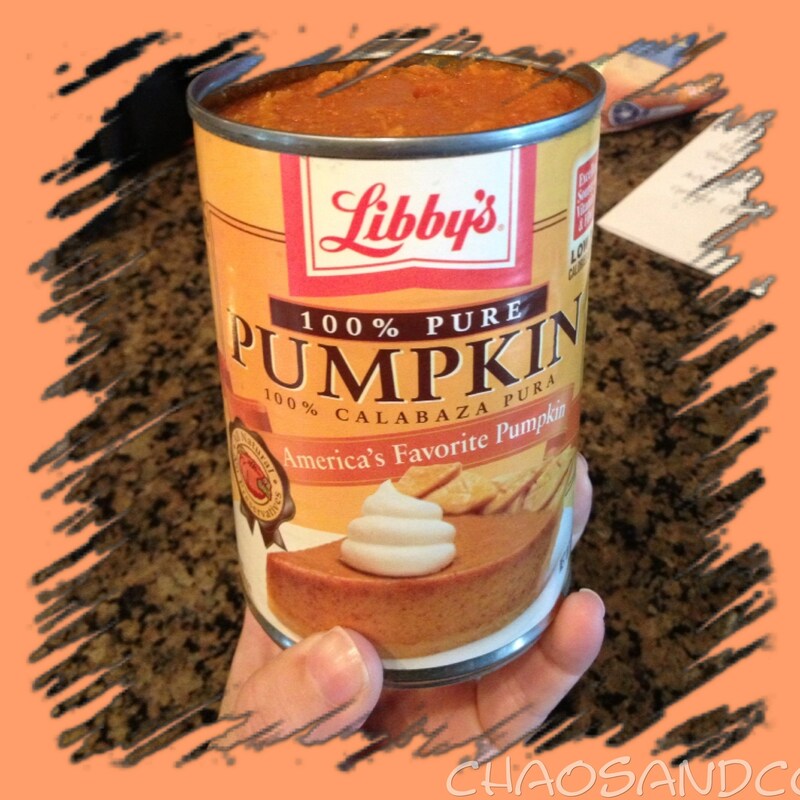 A must try for pumpkin lovers! Yum! 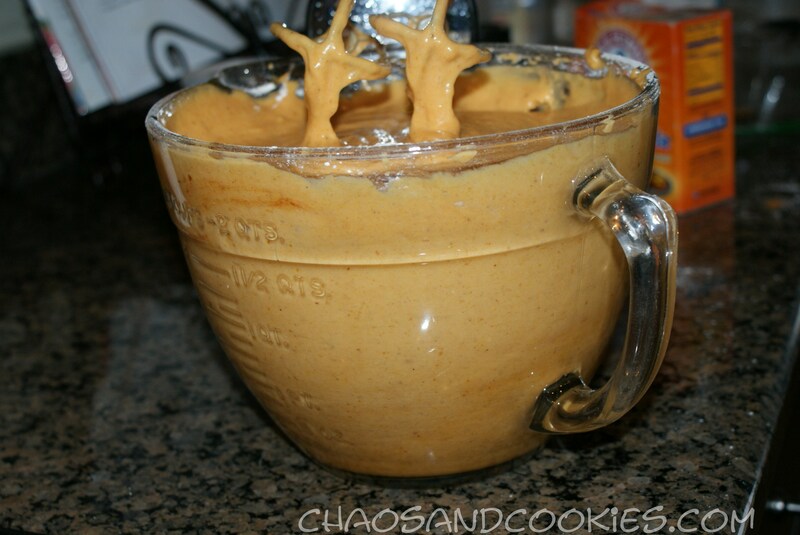 As a big time pumpkin fan, I am SO excited for the return of fall and everything pumpkin-flavored! 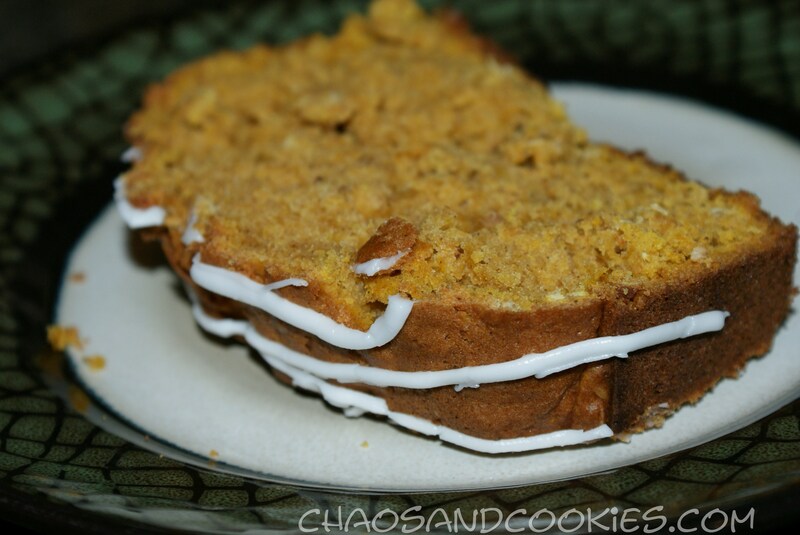 Fall and Pumpkin are the best, huh! Thanks for the comment, I hope you make them, you can do it!